Sri Lanka, an island paradise for tourists but for its inhabitants and those who have lived through its recent civil war between the government and the independent seeking Tamil Tigers, it’s been a nightmare. 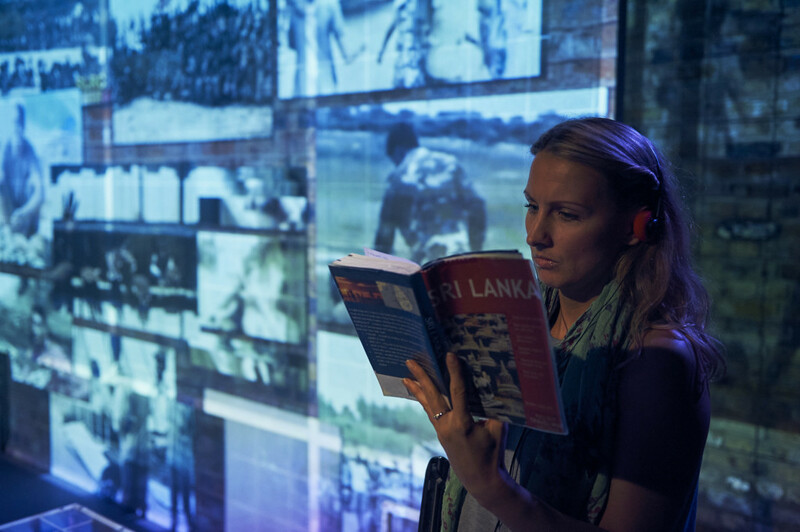 Ice&fire artistic director and writer, Christine Bacon takes these events as her starting point for a short, sharp quasi-documentary/fictional account that lays bare not only the facts of the Sri Lankan war but resonates all too tragically with what is happening in Syria. Once again, the opposition are deemed `terrorists’; once again the `international community’ is invoked but unable to influence outcomes whilst the UN is shown to be even more impotent in the face of government denials of either numbers killed or atrocities performed. 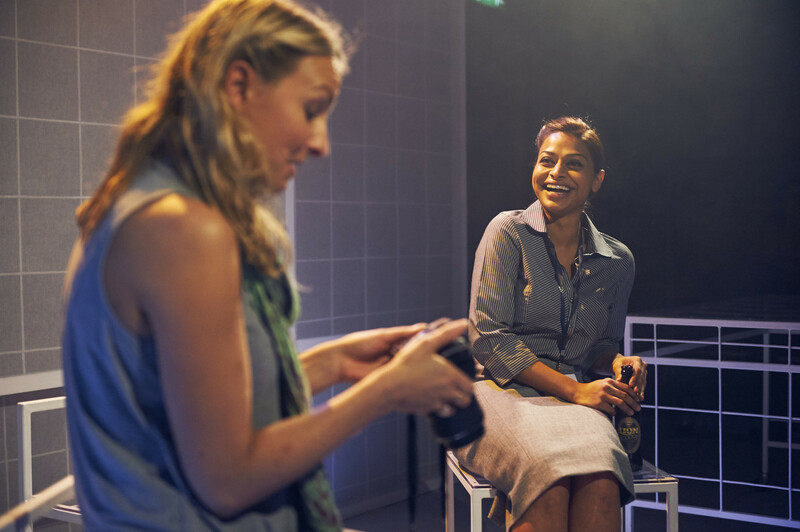 It’s a solid piece of political story-telling by Bacon and her director Ria Parry, packed with detail and spearheaded by human tussles between Sri Lankan politicos and Tamil Tiger spokesmen. Sandwiched between them, Norwegian negotiator, Erik, yo-yos backwards and forwards in an attempt to achieve a cease-fire. The problem is that despite Parry fleshing out and sharpening Bacon’s script with imaginative extras such as video projections, a sound score of clashing Sri Lankan drums and some vivid lighting cues, this is a drama that fails to really capture the horror or take on a human form – this despite the core of the story centring around a young Sri Lankan woman, Nila and her friendship with a British aid worker, Rebecca. Their friendship remains under-developed although Rebecca’s increasing disillusionment with the UN‘s policy of passive engagement – refusing to confront the Sri Lankan with recorded atrocities, preferring instead a silent presence rather than no presence at all – steadily becomes more vital. If The Island Nation is an indictment of the Sri Lankan government – nicely outlined in Bally Gill’s smooth-talking government spokesman – what emerges is an even more critical assessment of the UN’s inaction. Ice&fire is a company celebrated for their work with human rights and telling hidden stories. The Sri Lankan and Tamil Tigers civil war is one that I certainly remember being reported. Bacon’s The Island Nation certainly fills in some gaps as a useful background primer but never quite conveys the devastating impact of such turmoil on individuals or inspires the kind of dramatic fire that one might expect from such a terrible internecine conflict. Entirely competent and well told but still and all the same, disappointing. The Island Nation runs at the Arcola Theatre to Nov 29, 2016. 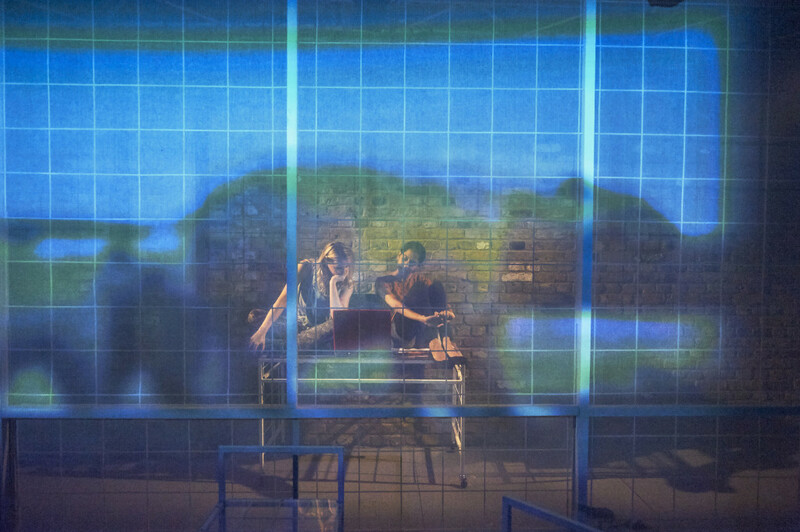 This entry was posted in 2016, Reviews and tagged Arcola Theatre, Christine Bacon, ice&fire theatre, Ria Parry, Sri Lankan civil, Tamil Tigers, UN inaction on November 5, 2016 by Carole Woddis.